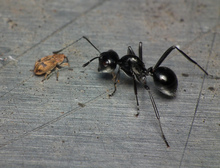 Ants are the most abundant of all land animals and can cause a nuisance problem by foraging for food inside a home and forming nests in unwanted areas, such as playgrounds or lawn areas. Bed bugs feed on blood and use a proboscis to penetrate the skin of their host. They locate their hosts by detecting carbon dioxide and can also sense the warmth and moisture of their potential victim. See our bedbugs page for more information. 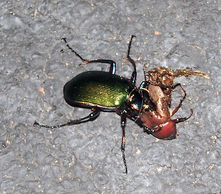 Beetles are found in almost every habitat and come in all shapes and sizes. Woodboring beetles and carpet beetles damage timber, furniture, carpets, and clothes. 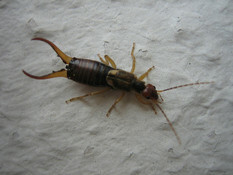 Cockroaches are widely known as the "rats" of the insect world due to their foraging habits, particularly in human habitations. Once inside a house, it can be difficult to get rid of them. Not only are flies considered a nuisance, they can carry diseases and bacteria that infect our food. The most common flies associated with homes and commercial establishments are the house fly, the fruit fly, and the cluster fly. 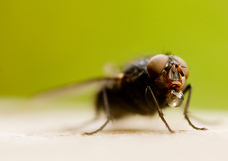 Black flies and horse flies are well known for their painful bites. The term "occasional invaders" includes those pests that may appear in a structure by chance while looking for food, refuge, or water. Centipedes, clover mites, earwigs, millipedes, silverfish, sow bugs and pill bugs, and crickets usually cause little damage and are considered a nuisance because of their presence. 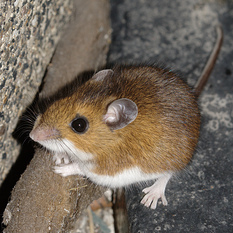 Able to enter structures through holes as small as a dime, rodents can gnaw through building materials, electrical wiring, and can carry fleas and other infectious diseases. Spiders are some of the most feared and least understood creatures in the animal world. 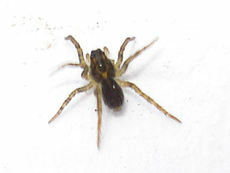 They can invade your home through small cracks and crevices around windows and can also be carried in on firewood. They spin cobwebs and a few species have bites that can be painful. 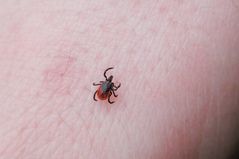 Biting insects, such as fleas and ticks are most commonly introduced to your home by your pets. Mosquitoes prefer small, still bodies of water such as tree holes, tin cans, or other places where rain water collects. Bees, hornets, wasps and other stinging pests are attracted to nectar, fruits and certain foods. They make their homes in gardens, shrubs and attics. In some parts of the world, a termite queen is considered to be a delicacy. However for homeowners, termites wreak havoc by causing major damage to timber structures and other wood products. 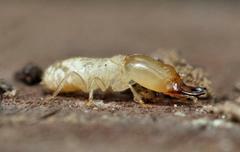 For more in-depth information about termites, see the Termite page.